The infamous, tough-as-nails platformer comes to Steam with a playable Head Crab character (Steam-exclusive)! The infamous, tough-as-nails platformer comes to Steam with a playable Head Crab character (Steam-exclusive)! If you love Meat Boy and want to have a box copy of it along with a ton of swag to go along with it you should check out IndieBox. This month they are packing up Meat Boy in the "Super Dumb Boy" collectors edition packaging alongside a DRM free copy of the game, 2 disc soundtrack and more. https://www.theindiebox.com/ If you love Meat Boy and want to have a box copy of it along with a ton of swag to go along with it you should check out IndieBox. This month they are packing up Meat Boy in the "Super Dumb Boy" collectors edition packaging alongside a DRM free copy of the game, 2 disc soundtrack and more. Can I get it on Switch? I've heard the newer Meat Boy game will be coming to Switch but not the old one. Recently Super Meat Boy on Steam was updated to add Linux as a platform and refresh the Mac port to fix some bugs and get it working on newer Macs. The port and fixes were done by everyones favorite Linux port guru Ryan Gordon. To celebrate the games 3rd anniversary and its recent Mac and Linux love it is 80% off on Steam right now. 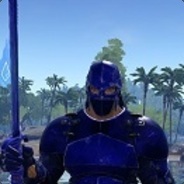 "- Linux version now available on Steam. If you already own the game for Windows or Mac on Steam, you get the Linux version for free right now. Otherwise, your three dollars gets you three platforms of Super Meat Boy, plus SteamOS support some day. - ...game... Read All Recently Super Meat Boy on Steam was updated to add Linux as a platform and refresh the Mac port to fix some bugs and get it working on newer Macs. The port and fixes were done by everyones favorite Linux port guru Ryan Gordon. To celebrate the games 3rd anniversary and its recent Mac and Linux love it is 80% off on Steam right now. 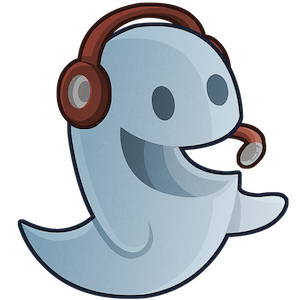 - ...game controller support that actually works! - Super Meat World now works on Linux. - 64-bit support on Mac OS X. - Fullscreen support on Mac OS X. - Better fullscreen support on Linux. - Mac framerate should be dramatically better. Updated Humble Bundle builds coming soon, but I'll probably wait a day or two for Steam feedback before packaging it up." Awesome to see this awesome Indie title getting some attention and it takes one game off my wish list of things to come to SteamOS. List of games i'd love to see come to SteamOS. It's hard to write about Super Meat Boy as it has been cover by the press and was given some major treatment in Indie Game: The Movie. That said, I found this fast facts video pretty interesting, if not a bit short. I've been playing Super Meat Boy a bit at a time over the months and am currently pretty far into the salt factory. 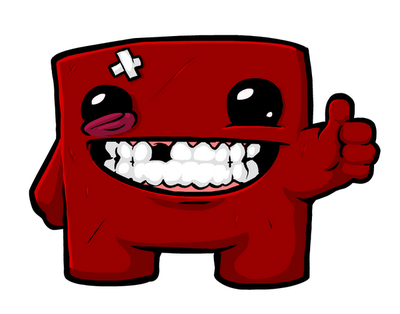 Currently the Steam Mac version is broken and the only Linux version of Meat Boy was released with the Humble Bundle. That said, I do plan on finishing this one but I hope it is ported to Steam on Linux so it can be played on the Steam Box. All that said, how far have you made it through Meat Boy? What is the furthest you have gone in the game?... Read All It's hard to write about Super Meat Boy as it has been cover by the press and was given some major treatment in Indie Game: The Movie. That said, I found this fast facts video pretty interesting, if not a bit short. All that said, how far have you made it through Meat Boy? What is the furthest you have gone in the game? Its pretty good too, regenerates and only costs 3 mana? Not bad. Means the only way this thing goes bye bye is with some kind of lock down or exile. Its pretty good too, regenerates and only costs 3 mana? Not bad. Means the only way this thing goes bye bye is with some kind of lock down or exile. Pity it's a legendary creature, I'd want 4 of this guy in my deck. After watching Indie Game: The Movie I decided to try Super Meat Boy. From what I saw in the movie, it looked awesome. I know I am behind on giving this game a shot, but I am glad I tried it out as it is a really unique modern experience. First off the game really feels like Super Mario Brothers. Well, that's not entirely true, it feels like a more... stripped down Mario Brothers. Something more... focused perhaps. Think Mario, with just platforming. It is also quite challenging but that didn't hit me in the feels, I like how hard it is. The premise is you are Meat Boy and Dr. Fetus keeps capturing your girlfriend Bandage Girl. In every level you make it to her and that... Read All After watching Indie Game: The Movie I decided to try Super Meat Boy. From what I saw in the movie, it looked awesome. I know I am behind on giving this game a shot, but I am glad I tried it out as it is a really unique modern experience. The premise is you are Meat Boy and Dr. Fetus keeps capturing your girlfriend Bandage Girl. In every level you make it to her and that dastardly Fetus snatches her away for you to find again in the next level. Each World has a fun cut scene intro and each world end boss fight comes with a cut scene as well. I enjoy the games humor and unabashed grotesquery. I mean the main character is meat and he bleeds... everywhere. I came at this game from having played The Binding of Isaac first so I was used to Edmund McMillan's unique art style and Meat Boy delivers. The game is fairly pick-up and play as I beat the first world in under 20 minutes and hit a wall of difficulty with World 2. Now I can make my way through about 2 - 3 levels in a 30 minute sitting and enjoy that process. Unlike other games that are very hard I find Meat Boy's difficulty to be loads of fun. Death doesn't really penalize you like in the Binding of Isaac and starting again is simple, fast and fun. If you have Super Meat Boy and haven't tried it, do so. Oh and I recommend playing it with a controller too, it just right playing it that way. Just like platforming was intended. Wow man, that game looks super hard! I need a controller. It is impossible with the keyboard. I played a few games with controller recently, Super Meat Boy, Cave Story & Sleeping Dogs. I can't help but wonder where people come up with these names. 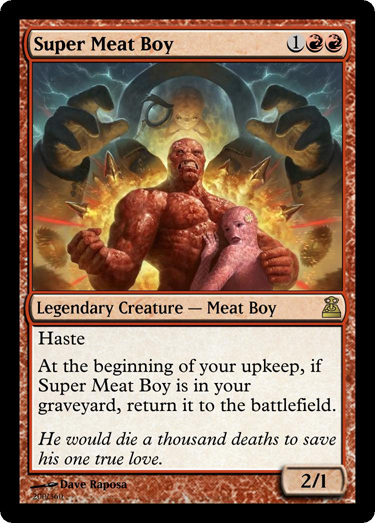 Super Meat Boy because he is made of meat and... Super. Sleeping Dogs I think... Someone help me if I eat this wrong, but I think it's a take on the old "let sleeping dogs lye" adage.